We have been covering a lot of ground over the past week, mostly in northern Israel, but some in the south as well. Here are some photo highlights. 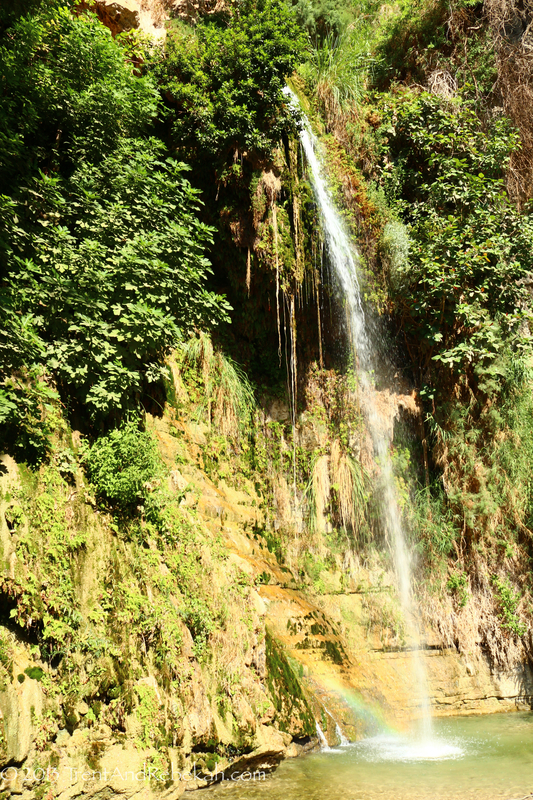 This is one of the interesting features on the northwestern shores of the Sea of Galilee. It pairs with Mt. Nitia to form a pass which has been used over the ages to pass from areas west of Galilee (such as Nazareth) to the sea and locations north of the sea, such as Capernaum. 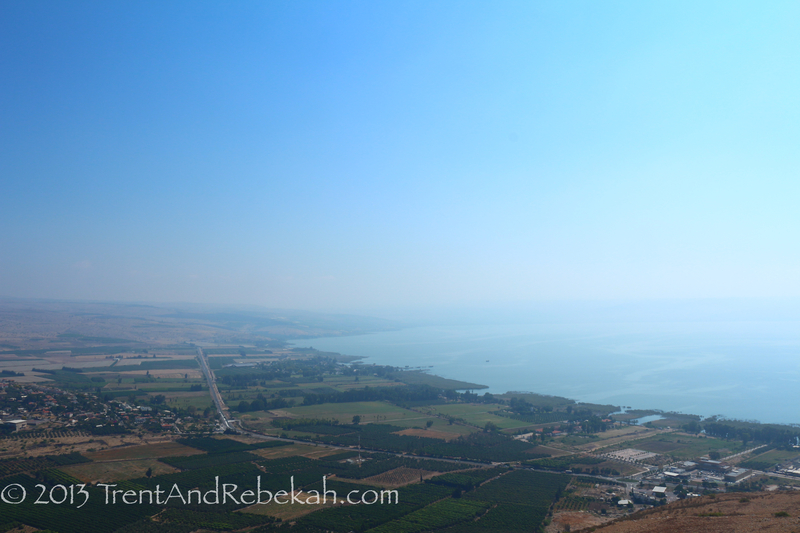 The first photo is from the top of Arbel, looking down on the Sea of Galilee and the second photo looks from Arbel across the pass to Mt. Nitia. 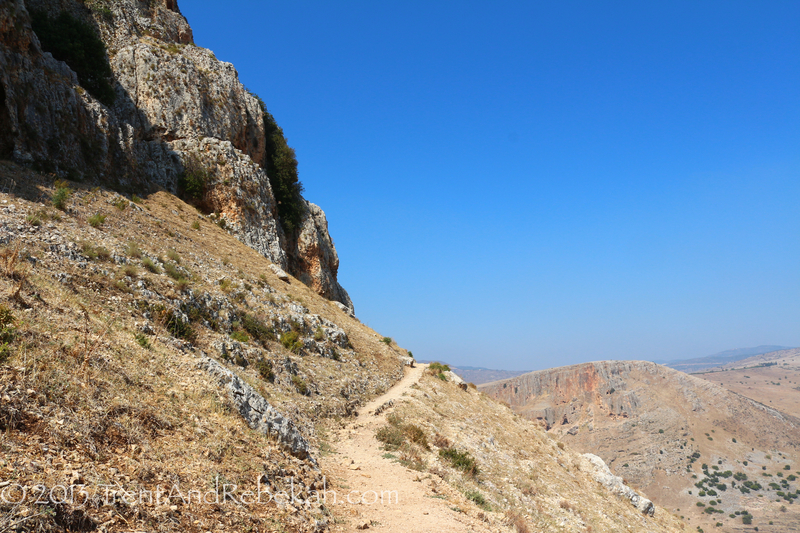 You can see the trail going around Arbel disappearing around the side of the mountain where the cliff drops off to the pass in the valley floor. 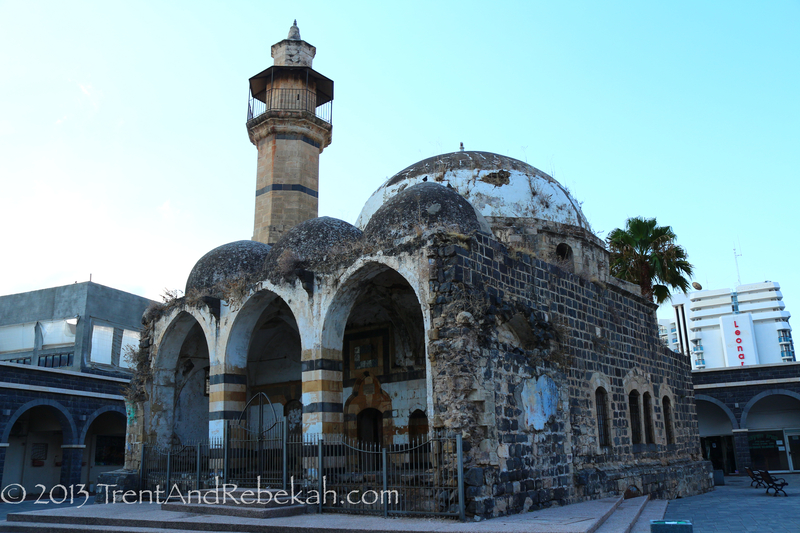 While not ancient, this beautiful old Mosque stands tucked away in one of the shopping centers of Tiberias, one block from the sea-front promenade. It is the Al-Amari mosque, built in the 1730s. Tradition holds that its construction was funded by the local Jewish population, who was thankful for the sheik’s protection. Had we not stumbled through a corridor looking for a shortcut, we would have never known it was there. This tel is packed with many good layers of ancient history and is mentioned numerous times in Old Testament accounts. This first photo is of current excavations going on there. Wish the excavation crew had been there so we could ask them about the walls in the photo (we were there in the afternoon, while most dig sites are active in the morning). 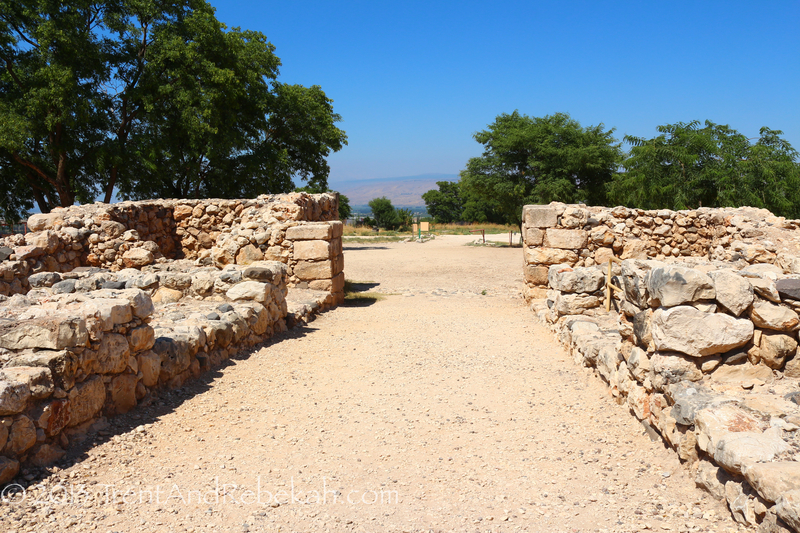 The second photo is looking out of the Solomonic gates at Hazor. These gates date to the 10th century B.C. and are similar to those found at Megiddo and Gezer. construction of a new building. 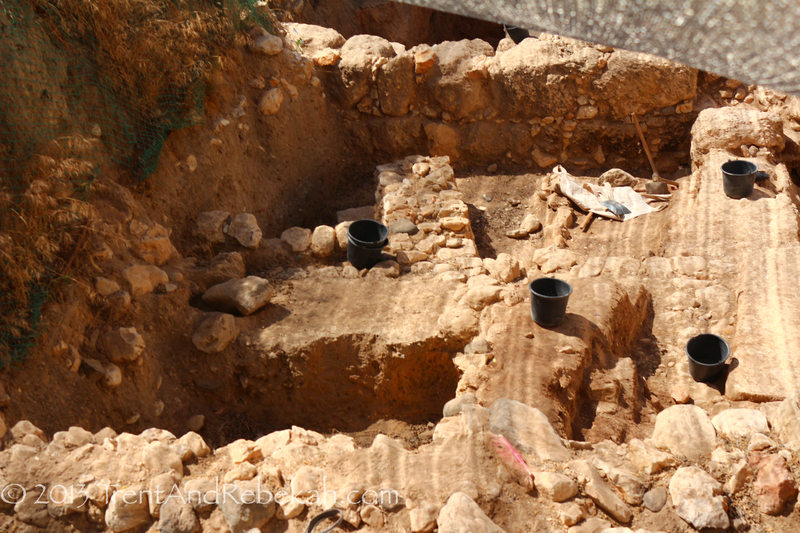 The excavations are pictured below and show 1st century architecture (contemporary with the time of Jesus). 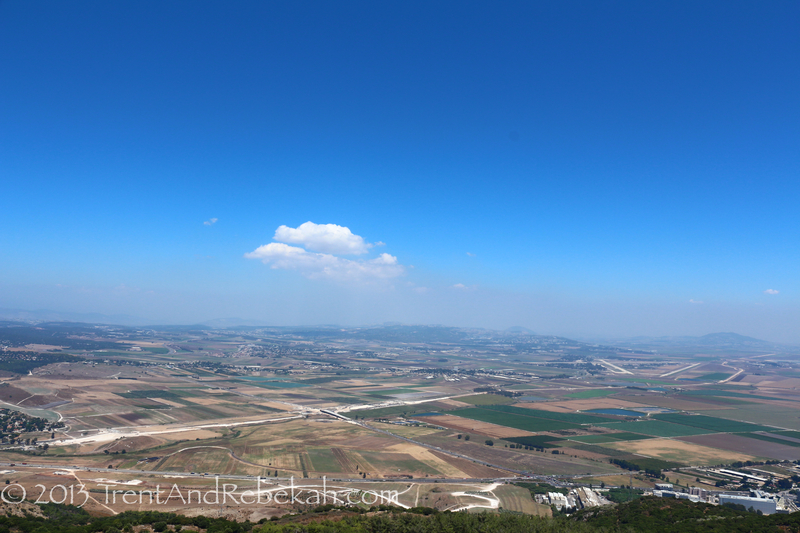 View of the Jezreel Valley from the El-Muhraqa (Carmelite) monastery. The Jezreel Valley is the defining feature which cuts at a southwest angle across the northern portion of Israel. Many accounts of ancient history play out in this valley as it creates a focal point of travel, trade routes, and military movement throughout ancient (and modern) history. With extensive occupation from Canaanite to Byzantine times, and times in-between (Egyptian influence, Philistine, Israelites, Greek/Hellenstic, Romans) this is an impressive ancient site with vast remains at the bottom of the tel, mostly from the Greeks and Romans. From Roman baths, to colonnaded streets, to a theater with seating for 7,000, this ancient city has it all. 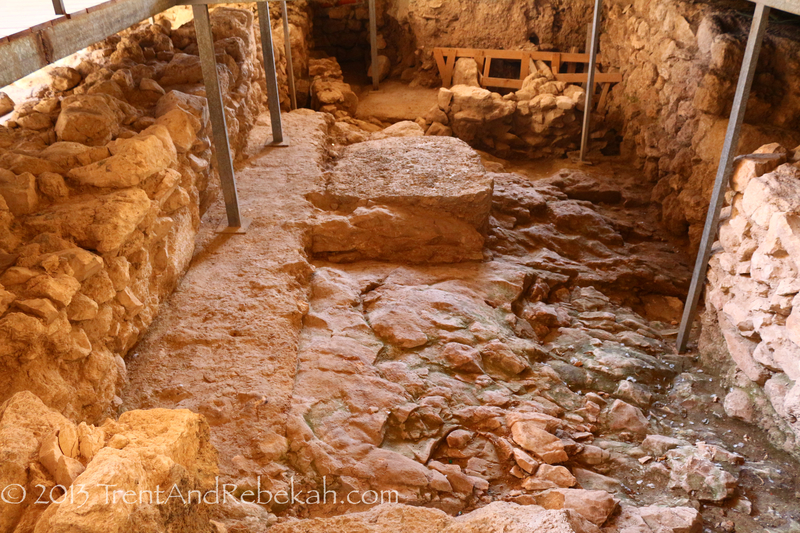 This photo is from the tel (Canaanite/Israelite portion) looking down on the Greek/Roman/Byzantine remains. a roadside stop. We walked around on the top of this site (now a cow pasture) looking at what ruins were there. 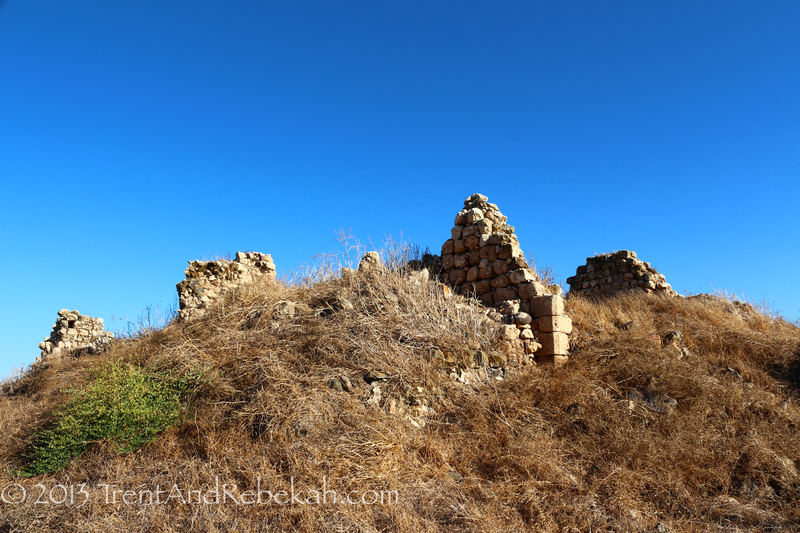 Here is a photo of some of the ruins on the tel (not sure what they are or what time period they are from). After the fact, we found out that there were current excavations going on this year, concerning Iron Age areas of the tel. We certainly didn’t come across recent excavations where we were walking around. 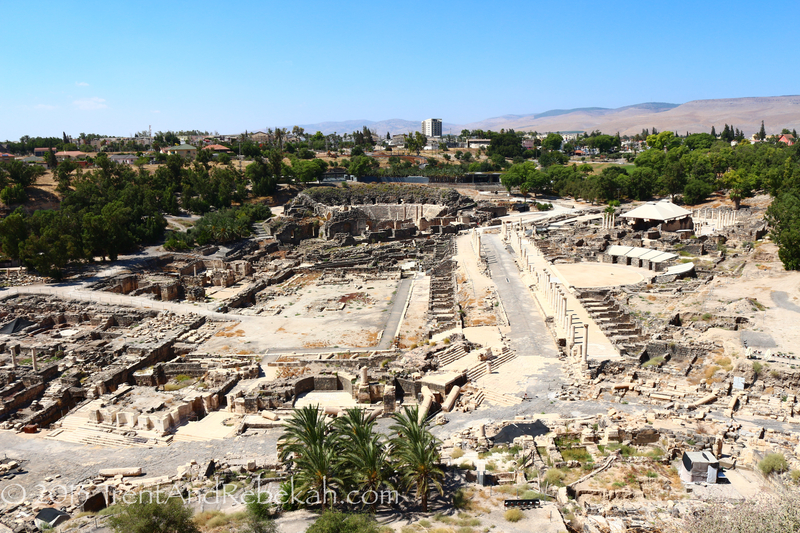 Many, including those who have excavated here in the past, associate this tel with the Iron Age settlement associated with Jezreel of the Biblical account, connected to Ahab, Jezebel, and Jehu, all of the Divided Kingdom period of Israel’s history. After this we wrapped up our travels in the northern part of the country and move south (directionally and elevation), down to the Dead Sea. 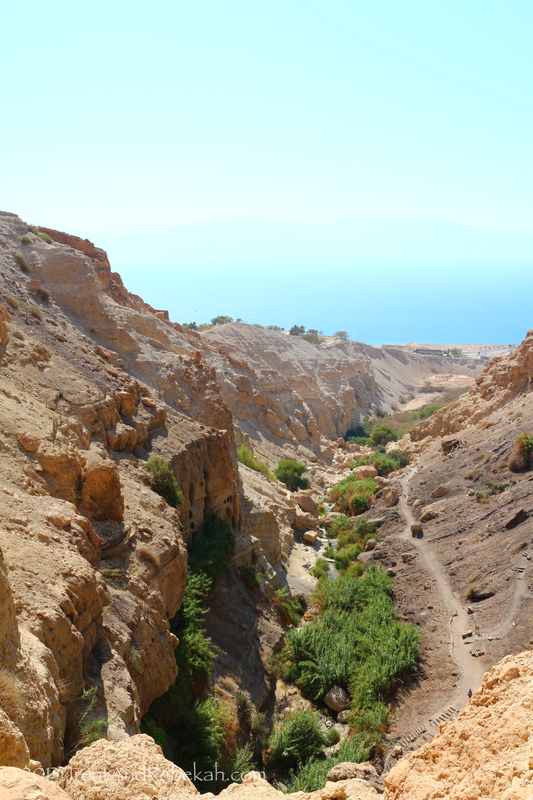 Our first stop was Qumran, where the famous Dead Sea Scrolls were found. 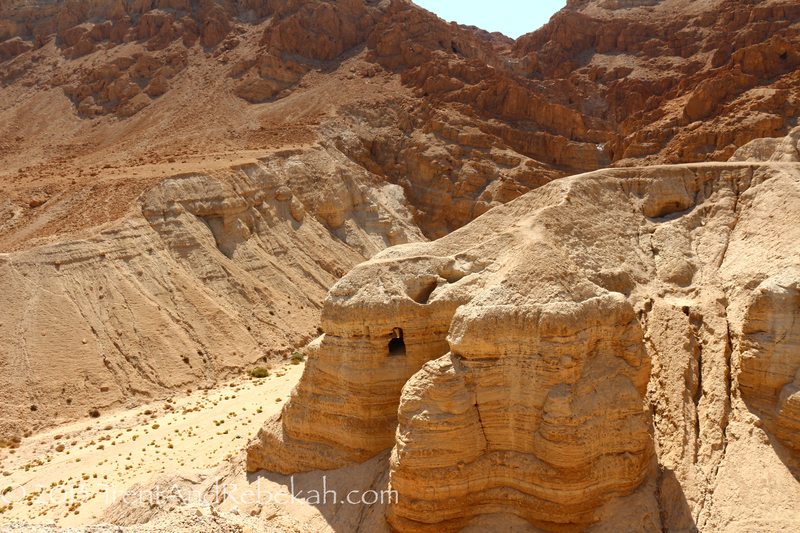 Below is the typical cave photo you see from the Qumran National Park. This entry was posted on August 2, 2013 at 3:04 pm and is filed under Ancient History, Biblical Site, Excavations, Nature, World History. You can follow any responses to this entry through the RSS 2.0 feed. You can leave a response, or trackback from your own site. I am really delighted to see your photo of the Nazareth excavation. I had been told that this was now covered. Re: Jezreel. Check The Jezreel Excavation on Facebook for more info. The work this year was on the lower toward the valley. The ruin you show is from the Crusaders. Our departed friend Phil Roberts worked on the NW corner of the high tel. Are you going to visit Hebron? It is not on our current list of travels, but we may hit it before we leave Israel. I hope you do, I want to hear about your impressions of Hebron. I would like to visit the Cave of the Patriarchs.